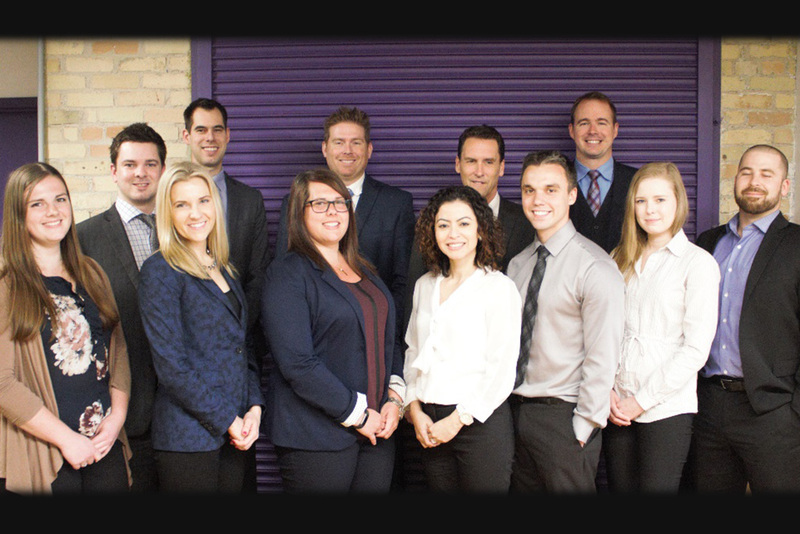 Walk through the doors of Grant Thornton’s Kitchener office and you immediately get a sense they’re a different kind of accounting and business advisory firm. Located in the Lang Tannery, a historic building in the heart of Waterloo Region’s innovation district, Grant Thornton has been locally supporting the tech industry and beyond for the last three years, providing audit, tax, and advisory services to private and public organizations. The office’s airy and welcoming feel encourages clients to relax and be at ease, reflecting the culture of the organization where businesses, people, and fresh thinking can thrive. While serving small, medium and enterprise level clients across the region, their location next to Communitech’s Hub allows them to offer support to a large number of start-up businesses that call downtown home. Members of the Communitech Pro Squad, the team at Grant Thornton also serves as in-house trusted business pros for their incubator program offering regular drop-in sessions and seminars in the tannery space. Part of Grant Thornton’s personal approach is the specific ways they service the tech industry. According to national SR&ED and Government Incentives leader Martha Oner, working with startups is an especially rewarding experience. “We support these businesses from pre-revenue, helping to grow into early-stage early revenue, all the way to exit,” explaining that for each company at each stage there are different ways to help. “They [startups] often require more in-depth assistance much earlier than traditional businesses. Often times with startups, we are working through international expansion and valuations within the first six months, where traditional businesses the timelines would be much longer”. Grant Thornton’s business philosophy is to understand the pressure their clients face at every stage of their development, to help eliminate the burdens, and in the processes making things simpler and easier for them to succeed. Oner comments, “That’s what we love, encountering and supporting businesses early and through their growth”. While providing personalized audit and assurance, tax, and advisory services are the backbone of Grant Thornton’s success, the personal approach to support carries forward for more than just clients, with equal dedication towards the communities in which they live and work. According to Oner, “outreach within the community, helping colleagues and the communities in which we live and work to thrive, resonates with all of our people across the country”. Grant Thornton provides impactful, financial and volunteer support for local, national, and international causes. In addition to sponsoring Fluxible, Grant Thornton is a proud supporter of a number of local charitable initiatives including Carizon Family and Children’s Services, Innisfree Hospice, and Kawasaki Disease Canada, a national charity based out of Waterloo Region. Oner stresses this personalized dedication is central to helping their clients flourish. “Our team works with clients to understand what’s important to them,” collaborating with businesses every step of the way. As a member of Grant Thornton International Ltd, clients benefit from the network of more than 50,000 people providing distinctive and personalized service in over 130 countries. This holistic approach offers organizations the best of both worlds: a global outlook of what’s important plus experience and insights in local business markets.